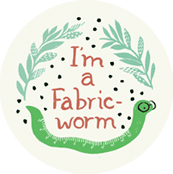 Fabricworm Weekly Giveaway! Circa 50 Custom Bundle! What's your favorite last minute gift to sew up? My favorite last minute baby gift is burpies - burp clothes. So simple - put some pretty fabric on a cloth diaper, add some trim, tie up with some curling ribbon and tuck in a gift card (what new mom doesn't need an extra $20 to use for diapers or maybe a treat from Starbucks?!?). Super quick and easy. And I get your newsletter. heres is my comment cos i love the fabric! 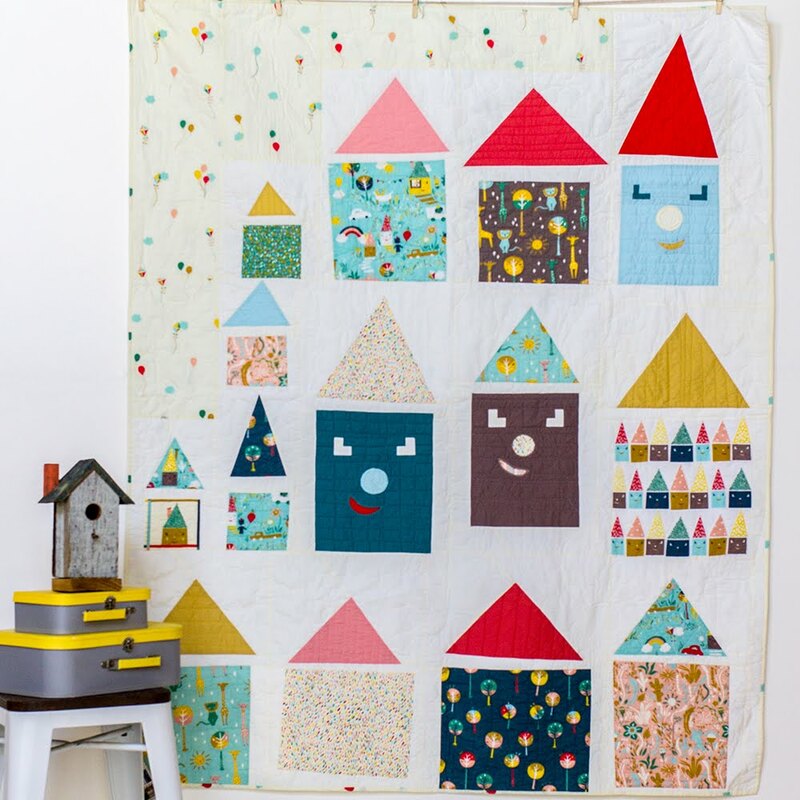 I love this fabric, and I'm almost out, so this giveaway is very timely. My favourite last minute gift to sew is a lightbag. They look so pretty! Thanks for the lovely give away! My last minute gifts are usually table runners or toppers make with charm squares... quick and easy. My favorite last minute gift to give is a jar of homemade jam from the cupboard. I usually make up a fresh loaf of honey oat bread (our favorite) and "wrap" the bread and jam together in a cloth bag made of some lovely print. I love to make sachets filled with lavender. Very quick and smell yummy. I buy lavender by the pound. And I signed up for your newsletter. 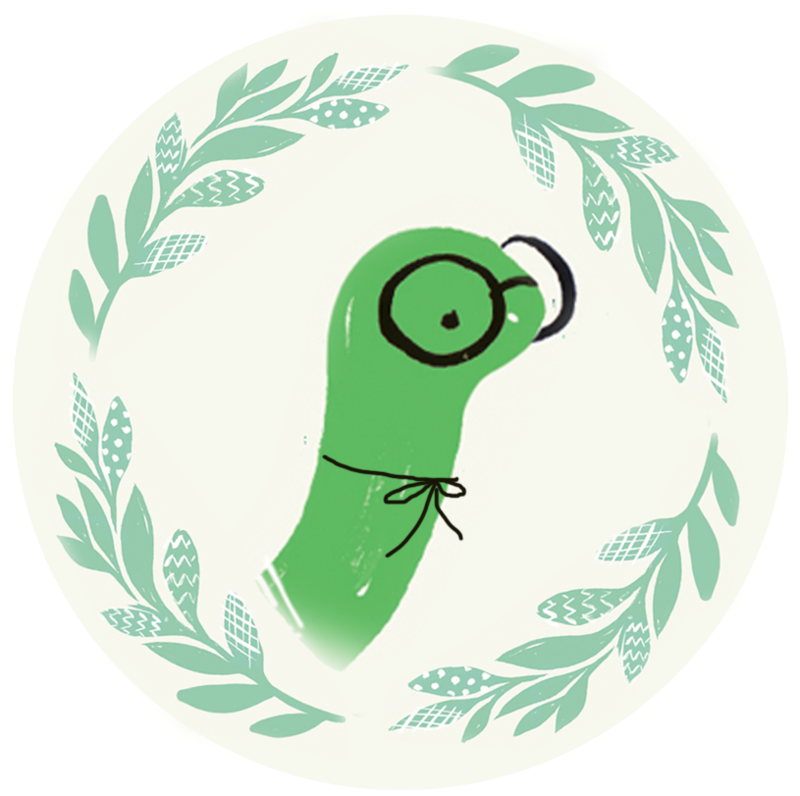 My favorite last minute gift is tablerunners. Fun and fast. My favorite last minute gift is Taggie blankies for babies. I'm signed up for your newsletter as well. My favorite last minute gift is an eco-friendly shoppingbag. You can fold it into a compact stuffed 'book' and put it into another bag. Bags, bags and more bags - they are always a winner - I've also been known to put together "Bag kits" for friends to sew - I think they are usually happier with these as it gives them something to do, than if I make the bag! Right now my favorite gift to make is either a quick zippered pouch or a matching set of potholders. Thanks! My favorite last minute gift is a funny monster (soft toy). I love it to combine different fabrics in beautiful colours. Already subscribed to the newsletter! Thanks! And I'm on your list. Thanks, would love to finally win! It would make a great quilt for my boys. hmm. last minute gift? 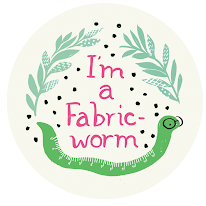 I don't usually sew those because I wind up doing something involved. But for moms-to -be I like to do quick little burp cloths. I'm also on the mailing list. MY last minute gift is a mug rug. I already receive your newsletter. My favorite last minute gift to sew up is coasters... super simple, and a nice gift! My favorite last minute, omg...I forgot her birthday, quick...need a present now? Always an apron. Seems my stash of fabrics that I simply can't part with comes in handy with this forgetful lady...cheers! For a last minute gift, I like to make a small clutch or pouch. These are great for all ages of recipients (with the exclusion, maybe, of adult males). 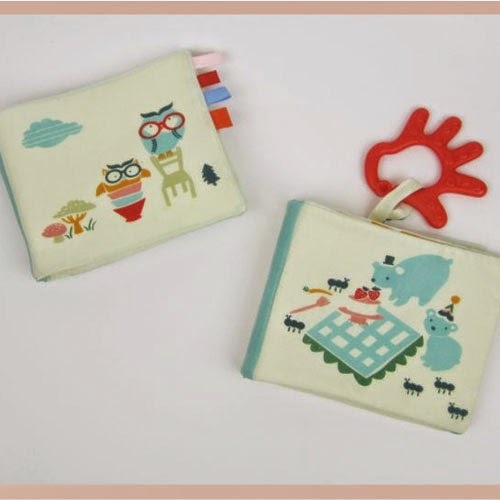 Kiddos like little pouches to put their found things and a woman can always use a pretty clutch or makeup pouch. For me it has to be a covered book there are so few people who don't like receiving stationary that it's a winner! I love it! It will make a perfect roll up crayon holder for my little boy! That is a last minute gift Id make! Thanks for the opportunity! Mariana Galvagno Aprovechen, las telas son buenisimas! This is me leaving a FB comment! I receive your newsletter - thanks love this fabric. Fav last minute gift is a quick square tabletopper made using a charm pack. Love those fabrics! 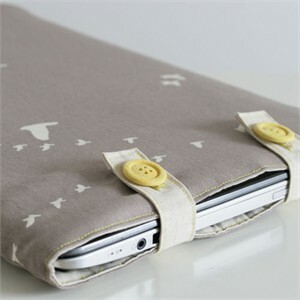 Fav last minute gift to sew up...not that quick but I know they're a winner so it has to be a pencil roll. I love these fabrics! I'm already a newsletter suscriber. I love to make little quilted makeup bags. Depending on the occasion, a set of monagrammed burp cloths or a monogrammed tote. 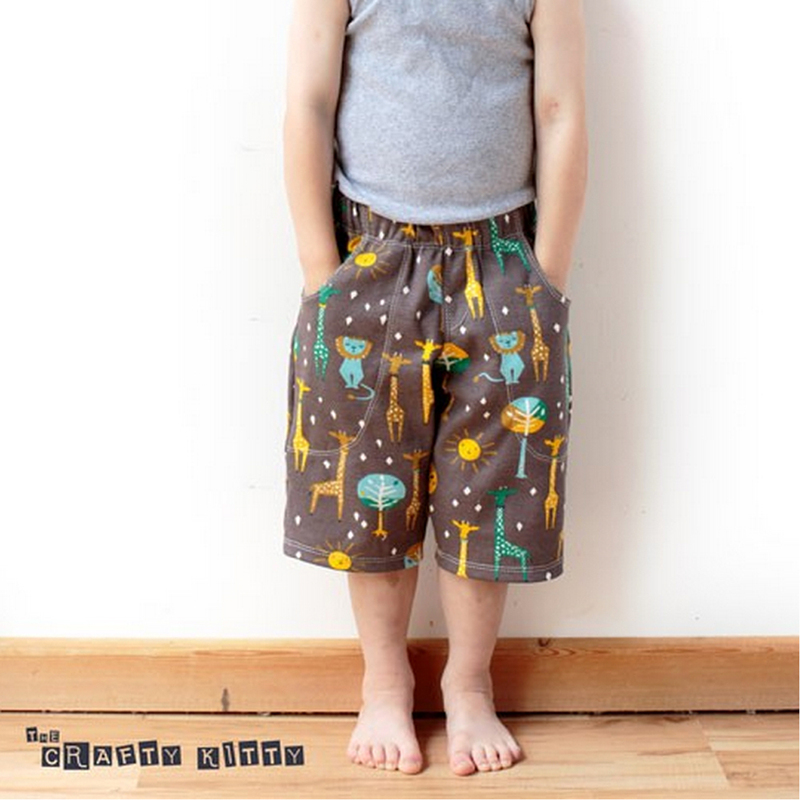 For kids, I love to make a quick appliqued T-shirt - personal and useful! And have mercy, I love that fabric. And I'm on your mailing list. My favorite last minute gift to make is a sety of potholders with matching hand towels. I already get your news letter, and enjoy it. A bag of some sort... Usually a messenger bag. Although for a girl (under 13) I have a little purse pattern that is quick and easy to put together (think less than 3 hours). If I need a last minute gift I whip up a candlemat & purchase a candle to go with it. 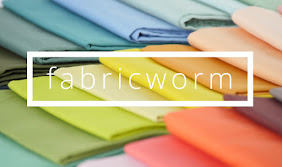 Great fabric bundle - love the bright colors. My favorite last minute gift is table runners. So fast and easy! 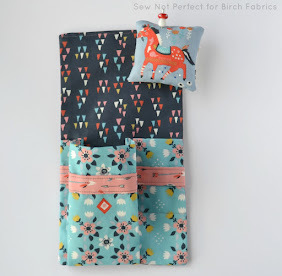 I love this fabric bundle! The last time I sewed up a last minute gift it was a lap sized quilt! Now though I love making table runners or mug rugs. They are quick, easy, and always appreciated! 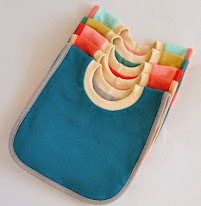 My favorite last-minute gift to sew up is a reusable bag--the gift that keeps on giving!! This is a great bundle. I would love it! I did the FB posting--my first one! 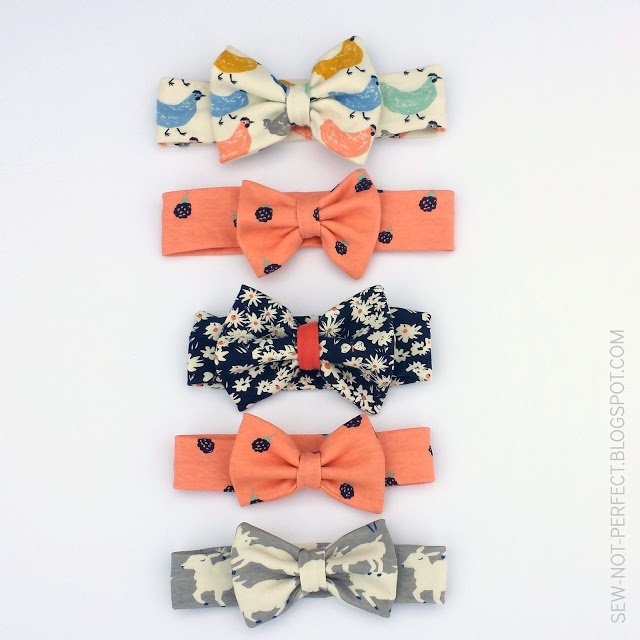 But hey, who can resist every chance for this fabric bundle?! This is a really great line and would be wonderful to win. I keep a few white baby onesies on hand, where I can quickly stitch on a monogram for a last-minute shower. What a great selecting of fabric. Thanks for the opportunity to enter your giveaway! My favorite quick gift is coasters. I have a nice little pattern that makes four with two fat quarters. Who couldn't use a set of coasters?! I'm a newsletter recipient already. I get your newsletter too! My favorite last minute gift to sew up is a table runner! 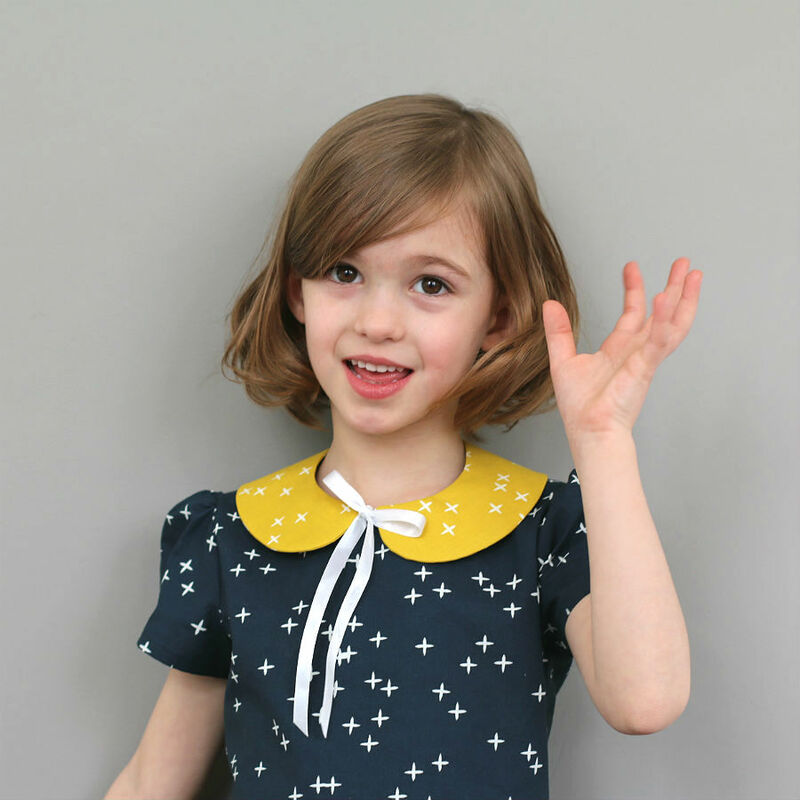 So quick and easy - and you can always chose fabrics you know your friend will like! And I am already on your newsletter list! Favorite last minute gift? A tote bag. Everyone needs tote bags! 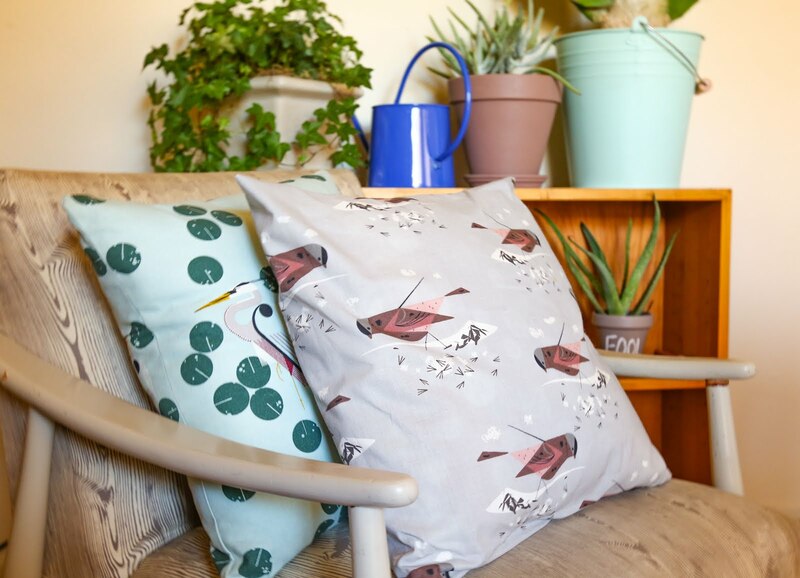 my favorite last minute gift is pillow cases, it's fast and easy! i love doing a last minute baby bib for baby showers! and I signed up to newsletter! thanks for great giveaway! My favorite last minute gift is a bag...market bag, purse, carry-all. I am loving making bags these days. I'd say a little purse for a little girl gift. My favorite last minute sewn gift would be a baby bib with matching applique onesie. Mmmmm....this bundle is delicious! My favorite last minute gift are pillowcases. Everyone loves them! My favorite last-minute gift to sew is a set of coasters, or a lovely scarf. Quick and easy! In the last few months, my fave gift for last minute is a pretty mug rug. I just love the Circa 50 fabrics. A fabric coffee cup cozy that replaces the cardboard ones coffee stores always give you with your drink! I have tweeted about it! I'm not so good at the last minute sewing because I am still learning, but I often will quickly sew up a little drawstring bag in which to put a last minute gift. My favorite last minute gift is simple tote bags. My fast little gifts are mini wallhangings - always have orphan blocks, small stitcheries or cross stitch or extra paper pieced block. And they use up the scrap batts! My favorite last minute gifts are quilted zippered pouches. People always need something to put their little things in. But my newest quick gift idea are quilted coaster sets. Fave last minute gift is an eye pillow! I would sew case and cozies for anything! I'm already receiving your newsletter. I don't know if I should enter, since I just won your great giveaway--but shades of red and blue are my favorite. 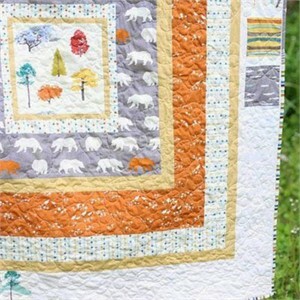 I just read a very helpful description of reds/blues in quilts at http://quiltinspiration.blogspot.com/2011/05/what-makes-this-color-scheme-work.html. I already receive your newsletter-Thanks! 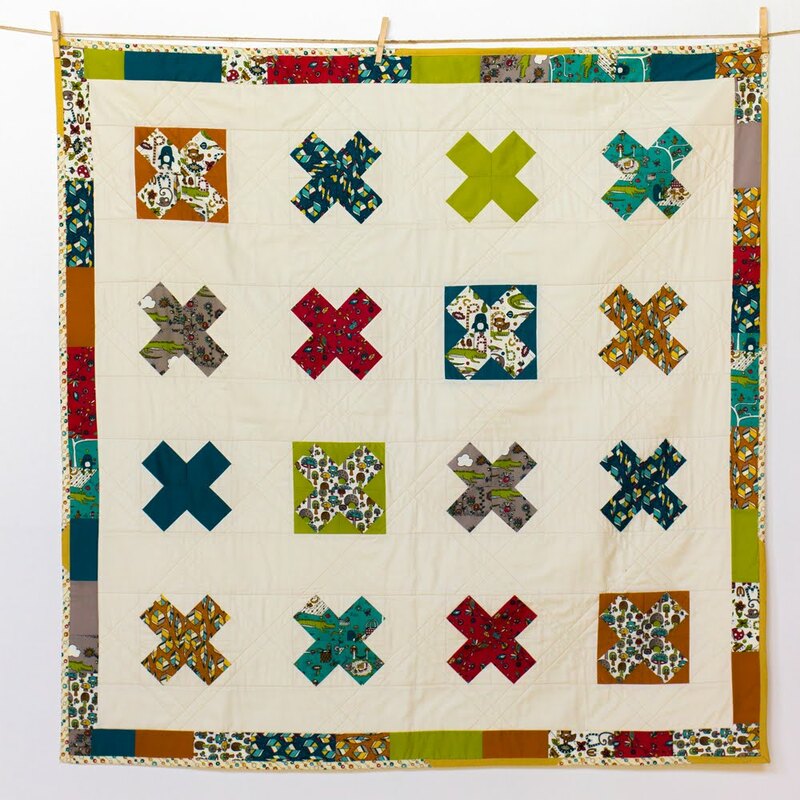 The reds and blues in your giveaway would be good fabrics to design a medallion quilt, adding more as needed. Or to make small items-pin cushions, scrappy bags, etc. for a benefit sale. I think pillows are my favorite last minute gifts. A cute little skirt for the party girls! I FB'd the giveaway. My ID is Deanna Doornbos. I usually make bags or baskets last minute as gifts- you can never have enough of either! I am also signed up to get your newsletter...thanks! Love that fabric! I'm not a good enough sewer to be able to do last minute gifts but I'm getting there! It feels like all my gifts are last minute, ha! Maybe my favorite last minute sewing project is usually a purse or tote bag. I'm a bit of a beginner so I have never turned to sewing for last minute gifts, though I did sew a pretty covered clothes hanger once for a gift when I wasn't near any shops. Coasters. I usually decide 20 minutes before going somewhere to bring the hostess a gift, and that's my go-to. I like little lavender scented sachets! Gorgeous fabric! My favorite last minute gift to make are potholders! Quilts are the only gifts I've sewn so far, but unfortunately, those are often finished last-minute! Great giveaway! My favorite last-minute gift to whip up is an apron. So easy! I love making mug rugs at the moment! I'm pretty new to sewing, but I like making coasters and table runners for quick gifts. 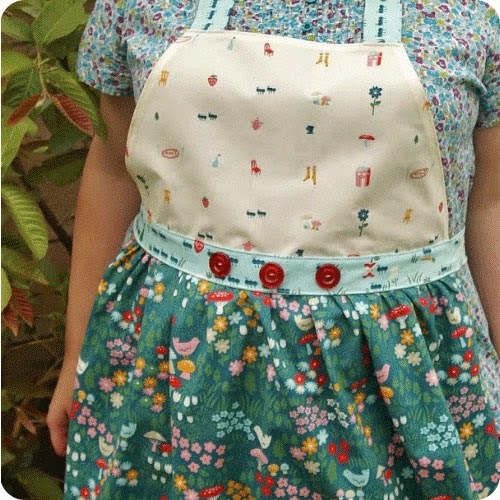 I think zipper pouches and aprons are going to be on my list of projects for Christmas presents! I love to make bags and purses. Crayon bags, beach bags or purses for little girls. Purses, carryall, etc. for adults. My favorite gift is stitchery pillows for the season. Then they can use them as bowl fillers or ornaments and they are quick and easy to make up. i love to make embellished/appliqued onesies! they are quick and fun! A tote or a cute pin cushion make great last minute gift. I keep both on hand just in emergency. I posted your giveaway on facebook and to my blog. I also mentioned it to some of my friends at quilting guild. My last minute gift is a fun patchwork scarf. Already on the mailing list. My favorite last minute gift to sew are owl teethers-I use crinkly packaging on the inside to give them that crinkle sound. Thanks for the chance to win! 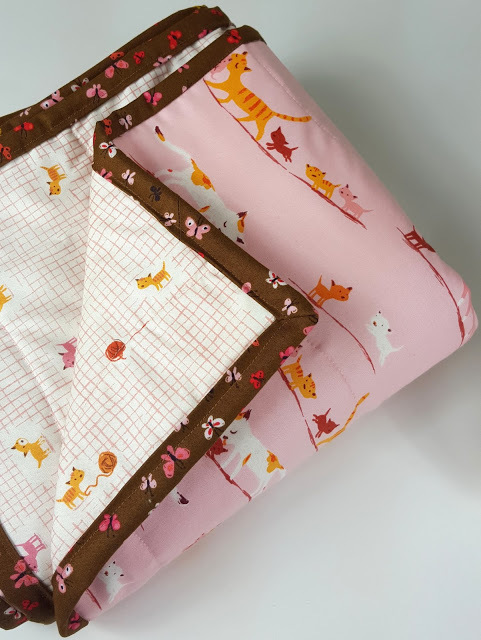 My favorite last minute gift for babies is a blanket! 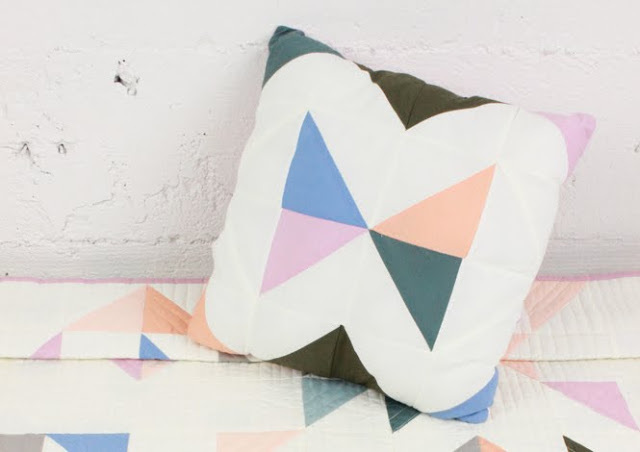 Minky on one side, quilting fabric on the other - super easy and always gets raves. I also get the newsletter - thanks! Favorite last minute gift are rug mugs! I'm terrible! most of my plan ahead projects usually wind up last minute, and they are always involved! Lately it has been various quilts of different sizes. 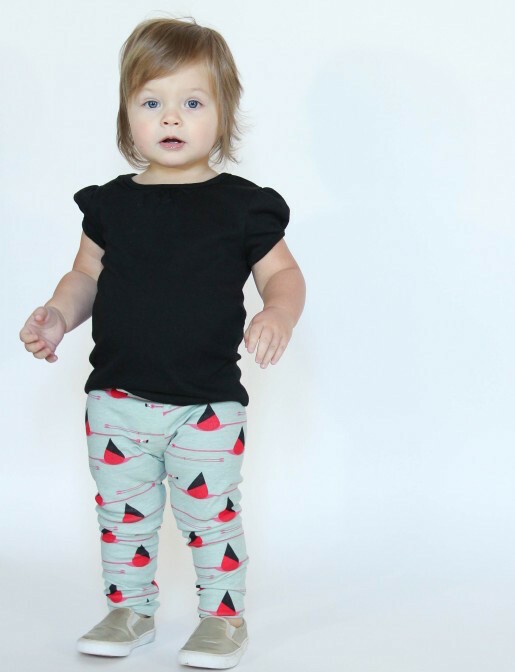 This collection is so funky! love it!! my favorite last minute sewing gift is coasters or towels. I normally raid my craft show supplies, LOL! Good question. In fact, I am making several last minute gifts right now. My favorite last minute gift is coaster. Easy to make and quick! Thanks for the chance. My favorite last minute gifts are usually bibs for babies, pencil cases or simple totes for students, and coasters+wine sets for adults. I get your newsletter already! 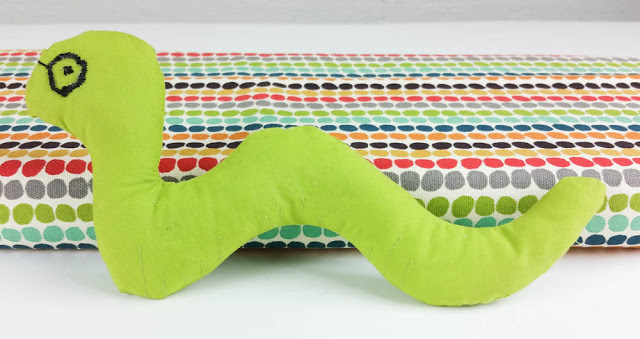 I'm new to sewing, and I'm not sure that I'd be confident enough to give anyone a gift that I've sewn! But, if I had to pick, I'd say a pillow cover- it's really the only thing I'm good at thus far! 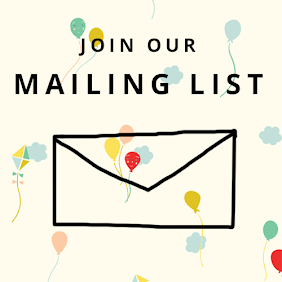 I just joined the mailing list! I make market bags. 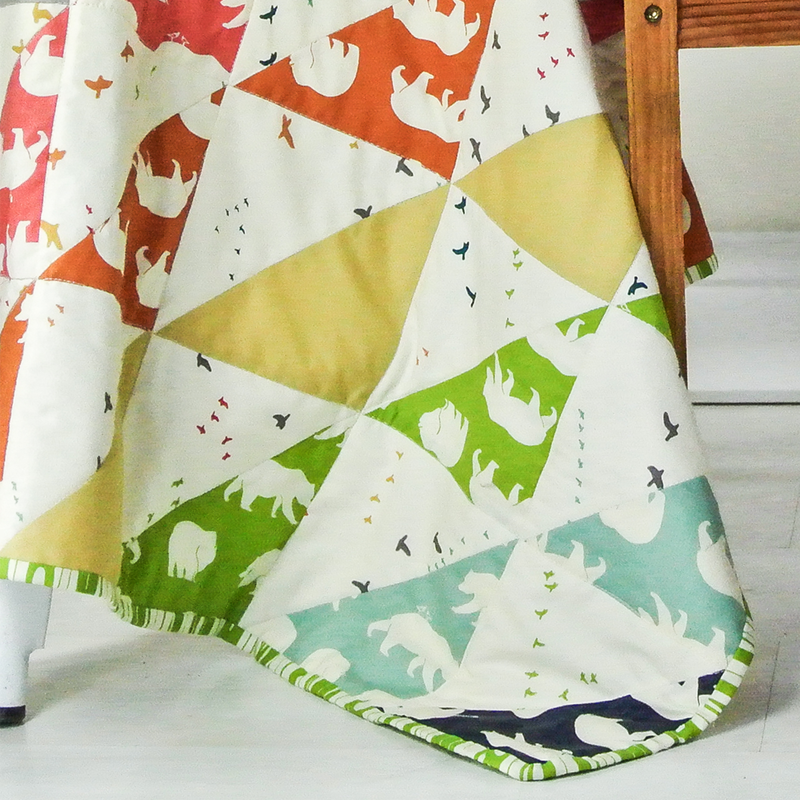 I can make one out of a 1/2 yard of fabric total..(tute on my blog right side bar) and everyone can use an extra tote.. I like to make a quick taggie and a drawsting bag to put the gift(s) in... fat quarters are GREAT for this! I just signed up for your newsletter! Looking forward to receiving it. My favorite last minute gift is potholders! And I'm on the mailing list! "A Little Duffle Do It" is my go to last minute gift of the moment, who doesn't have something to stash in such an adorable little pouch? Love this fabric. It has my house on it ;) a girl can dream. For the many little girl birthdays around here, my last-minute gift is an apron and a cookbook. I make bookmarks. They are so easy and fun to make! I also get the newsletter! Thanks for the awesome giveaway. lately, its been baby gifts - i am a huge fan of the amish puzzle ball. easy and kids totally love it!!! I heart this line of fabric!!! Winner Announced for Custom Circa 50 Bundle!